July 11, 2017, 10:11 a.m.
By Nicholas Quah July 11, 2017, 10:11 a.m. Welcome to Hot Pod, a newsletter about podcasts. This is issue 127, published July 11, 2017. The IAB has announced the lineup for its third-annual podcast upfront, and it boasts some changes. Gimlet, Public Media Marketing, and iHeartRadio are added to the mix, while CBS and AdLarge appear to be sitting this one out. This year’s festivities will take place on September 7 at Time Inc.’s Henry R. Luce Auditorium in New York. As you might recall, I wasn’t much of a fan of last year’s proceedings. Details here. Gimlet’s diversity report. The company revisited the issue in a recent AMA-style episode of StartUp — after its first dive into the topic back in December 2015 — and the big picture is more or less what you’d expect: still not great, but better than the last time. Poynter has a good summary of the segment, and I’d like to state here that it’s interesting how you can basically evaluate the company based on two public fronts: There are the numbers, and there’s the way Alex Blumberg, as CEO and narrator and one of the producers of the episode (presumably), talks about the numbers. For what it’s worth, I’m still mulling over what both things tell us about how the company thinks about diversity, and the extent to which we can productively regard them as adequate or insufficient. The reality is what it is — imperfect. But more importantly, do we trust the process? Notably, Gimlet followed up the segment with a more productive move: They posted the hard numbers and statistics on the company website. It gives us specific insight into how the company thinks about diversity in policy and on paper at this point in time. And so we’re able to go a little deeper beyond “still not great, but improving”; indeed, Gimlet’s makeup is still fairly homogenous in that the staff remains heavily white, and though it does appear that the company’s breakdown skews more female, front-of-mic talent still skews white and male. (For a company in the content business, that front-of-mic representation really matters.) The numbers also let us see how they track the metric, and there’s room to take some issue here: personally, I’ve always found that broadly tying the classical demographics — male and female, different census categories of ethnicities, and so on — is incredibly limiting, given the shifting, intersectional, and multi-dimensional nature of power positions and many permutations of diversity that fall from it. For what it’s worth, the company acknowledges that in the segment (and further, when we spoke about it over the phone), and again, the question remains whether you, personally, trust the process. In any case, credit should be given where due: Thanks to Gimlet, we now have a public baseline for the rest of the private podcast industry. The public posting of the report is good practice for an ecosystem frequently criticized for being overwhelming white and male, and I highly encourage other companies to conduct similar publicly-available reports on their own operations. I will, for what it’s worth, be poking around to check on whether other companies will be doing so. What happened the last time. 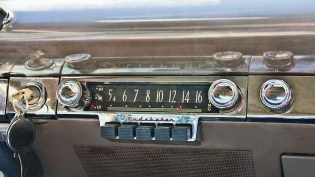 Nieman Lab ran this great piece by Gabe Bullard last week: “Here’s what happened the last time audio producers got better data,” which sought to tell the story of broadcast radio when it experienced its own step-up in metrics to say something about what’s going to happen to podcasts. There’s not much in here that hasn’t already been talked through in previous Hot Pod issues (show resizing, over-emphasis on metrics concerns, and so on), but it’s still cool to see the story from the other side. That said, it’s worth pointing out two governing themes that loom large over these narratives about data. On the one hand, there’s a general feeling of anxiety over the change it brings; on the other hand, there’s a specific concern about opening the system up to being deleteriously gamed. I don’t think much of either theme. Change is a constant, as they say, and the podcast ecosystem in its current state is already well gamed on its own terms. We see this even in something like the widespread presence of the true crime genre and the cottage industry of podcasts about Serial, and in the many ways the Apple podcast charts have been worked. Further, the gaming of systems is a constant through human endeavor, one imagines. We already see that with Spotify and television ratings, though you can’t quite make the argument that it significantly compromises the business of music or television. The bigger story, I think, should be less about the changing systems and more about building structures of collective responsibility around those systems; less about how the system shifts, and more about what we should be doing in response. SoundCloud is laying off 40 percent of its workforce, the company announced in a blog post last Thursday. The cuts are apparently a defensive move to maintain its independence in the face of an increasingly difficult online music market, as The New York Times notes. The company provided assurances that it will remain in business, but whether that’s really the case for the platform remains to be seen. In the meantime, it might be a prudent move for publishers using SoundCloud as their primary hosting platform — of which there are many, from small independents to the Loud Speakers Network — to consider contingencies. Career Spotlight. There are freelancers, and then there are podcast showrunners. This week, I had the pleasure of running this Q&A with Gina Delvac, the L.A.-based producer who quarterbacks the popular Call Your Girlfriend podcast. Gina Delvac: I’m a podcast showrunner. Like the creative-meets-editorial-meets-business role that many TV show creators play, I work with brilliant hosts to make podcasts that best showcase their talents and interests. Call Your Girlfriend, the podcast Aminatou Sow, Ann Friedman, and I created in 2014. We explore the news and pop culture and our periods, and Amina and Ann have really intimate, smart, and fun weekly conversations along the way. A podcast for long-distance besties everywhere. And Pitch Makeover, a project hosted and conceived by Natalia Oberti Noguera and which launched in May. Styled like a fashion makeover, Natalia offers targeted and insightful feedback to startup founders about their 60-second business pitches. If you love tech but are feeling rightly sick about its culture of discrimination and harassment, you might find a little glimmer of hope between Natalia’s infectious energy and our slate of women and nonbinary founders. In the day-to-day, that includes a little bit of everything for Call Your Girlfriend: high-level editorial, editing, and mixing, and a bunch of meetings and admin on the business side, too. For Pitch Makeover, I work closely with Natalia to record and edit each episode. (I’ve even co-hosted). Delvac: It started with bankruptcy. Okay, not mine. I was working as a paralegal at a legal aid clinic in 2008, fresh out of college and watching the economy collapsing. What I was reading in The New York Times didn’t square with what my bankruptcy clients described on a daily basis: thousands of dollars of credit issued to people living on SSI. Utility shutoffs that jeopardized the housing of single moms. The transference of debt from one collector to the next to the next. When This American Life did their Giant Pool of Money story, I remember I was wandering down Benjamin Franklin Parkway (yes, toward the Rocky steps), listening to this podcast that was finally, finally explaining what the hell was going on. And it did it in a way that connected Wall Streeters to young college grads like me to my clients who were living in poverty. Of course, this essential style of documentary but accessible reporting became Planet Money. It took me a while to discover who these public radio producer people were and what they actually did, so when I moved home in Los Angeles in 2009, I started interning at KPCC, which I did for 18 months, something I was able to do thanks only to my mom letting me live in her basement (literally) in exchange for paying the gas bill. Once I had some basic editorial chops and booking experience, I started down the freelance public radio path that so many producers have trodden. Picking up days when I could, taking the longest stints, trying to learn as much as possible and work on different types of shows, including Marketplace, where I really cut my teeth as a journalist and producer. My first real podcasting job was working with tech investor Jason Calacanis on his long-running show This Week in Startups. There, I learned the startup beat, got to interact with a totally different kind of superfan, and saw the insane drive and energy that so many entrepreneurs have. During that time, Aminatou and Ann and I started talking more seriously about Call Your Girlfriend. Being around founders all the time definitely made it seem like a no-brainer to quit my day job and get way more serious about my passion project. It would be easy to pretend here that Call Your Girlfriend was an instant success and money-maker. While we found an audience early on, we didn’t turn a profit for over a year and all worked multiple jobs throughout. We love making the show but no one counts on it like a fulltime job. (More on this in our Businesswoman Special episode). Delvac: After benefiting from the wisdom of so many people at KPCC (notably my bosses Linda Othenin-Girard and Kristen Muller and my then-fellow-interns Lauren Osen and Arwen Nicks) I got a chance to start filling in at Marketplace. What began as a two week “we’ll try you out, kid” fill-in run, turned into months of steady freelance work. Megan Larson (now at KPCC), Sitara Nieves, and Kai Ryssdal took insane chances on the weird skits I wrote and field production ideas I pitched while I was still so green. They also taught me how to edit with a reliable and steady ear on a fierce deadline. Later, I got a chance to work on the beginnings of the Wealth and Poverty Desk, and then its first standalone podcast, The Uncertain Hour, hosted by Krissy Clark. As a listener, Krissy is one of my favorite reporters. Getting to explore how welfare gets (de)funded — and who gets those funds — was a major highlight of 2016. Aminatou and Ann have taught me pretty much everything else I know: how to break the established rules; how being your specific you — IRL and on a podcast — can be a path to personal fulfillment and success; and how to have fun and hold yourself accountable to your ideals and goals at the same time. I truly cannot say enough about my work wives. Delvac: I didn’t — and still don’t — know what I want to be when I grow up. You can find Gina on Twitter at @gdelvac. As usual, you can find older Career Spotlights here. Peak Podcast, considered. “How will we know when we hit peak podcast?” tweeted the esteemed Lizzie O’Leary of APM’s Marketplace early last month. Now, I can’t remember what exactly I was doing when I saw the tweet — which is true for most tweets I peruse — but wherever I was, the question, and the concept, stuck with me. Perhaps my interest in the issue went way too far, and maybe I’ve ultimately misjudged the original intent of the question. But regardless, I’ve been mulling over this question for weeks now. To be sure, the number of podcasts active in the market today is massive, and it continues to balloon every day. The prospect of saturation has crossed my mind more than a few times across this newsletter’s nearly three-year lifespan, as it seems to be with many others in the industry: listeners, observers, critics, producers. Insofar as I understand it, there’s a general anxiety that the ever-increasing abundance of podcast supply may well lead to some fundamental breakdown in the podcast industry’s form and future potential. The idea of “peak podcasts” tastes a little funny on the tongue, but the idea nonetheless holds great theoretical ramifications, and it’s worth attention. With that in mind, I’m spending this week over-thinking the issue of “Peak Podcast” to death. My thinking is a little scattered, and I have some conclusions scattered about — to which I expect reasonable disagreement — but I believe the thought process is more important than the final assembly. Grab your helmets. We’re going down a rabbit hole. Only an estimated 1 percent of those shows have more than 50,000 downloads per episode, defined within a 30-day window. Those two data points lets us cut the world in a few different ways. If you accept 50,000 downloads as the threshold for a competitive podcast, then you have a situation where only about 4,000 podcasts are worth accounting for. But if you choose to place more emphasis on the publishing side than the consumption side, then you’re seeing a world in which 300,000 podcasts are actively in the market competing with each other for a slowly but steadily growing pool of ears. Those numbers seem huge, but are they harmfully huge? Comparisons with other media formats might be useful for perspective, though such comparisons need to be structurally appropriate. Further, there’s room to debate over how you’d structurally categorize podcasts. To what extent is it a deep-dive activity, similar to a movie, or an in-between activity, similar to music or magazines? In any case, some numbers to consider: In 2016, there were an estimated 729 movies released in theaters, while there were an estimated 455 scripted shows aired on TV — just scripted, not including news, live sports, and some reality programming. If you trust numbers from Statista, you can consider that there were over 7,000 magazine titles in circulation in 2015, and if you want to really get way out there, there is a measure noting that there are over 1.2 billion websites currently in existence. Indeed, such comparisons are tricky, and it’s little hard to see what specific lesson can be drawn from the perspective here. Nevertheless, we still have 300,000 — or 4,000, depending on how you want to cut it — podcasts competing for your patronage: while you’re in the subway, doing laundry, driving your car, preparing dinner, walking the dog. It’s also worth recognizing that the number refers to actively publishing podcasts; which is to say, we’re framing our analysis here around the medium’s “head,” looking at the potential of consumers taking in new episodes being published in a given week, or a moment in time. It behooves us to additionally reckon with the vastly abundant backlog of listening that make up long-tail of the medium as a whole. Now, if you take all of those pieces of information, it does start feeling like a medium that’s bursting at the seams. But to what extent is this a bad thing? I reckon the answer differs depending on who’s asking. More competition might feel bad for some publishers — it’s harder to jockey into a listener’s rotation and for the attention of advertisers — but it’s generally good for audiences, medium fatigue aside. That said, it’s complicated for ad buyers, because on one hand, you have better potential for targeting specific audiences based on show specificities, but on the other hand, it’s more difficult to efficiently survey the landscape and make appropriate buying choices. It opens up possibilities for developers, who might pursue attempts to develop solutions for discovery or programmatic advertising, but be wary: Successes in those pursuits might yield overarching negative effects: a victorious discovery platform might end up consolidating too much power, and poorly regulated programmatic podcast advertising might compromise CPM rates. If investment into the supply growth drastically outpaces the growth in audiences. It’s hard to tell the spread at this point in time, but I think it’s still fair to think that a good deal of supply growth is probably made up of relatively low-cost operations, keeping the ratio within reasonable bounds. Which is all to say the following: I don’t think we’re currently in a situation where the increasing abundance of podcasts is fundamentally compromising the structural integrity of the space. (Yet. Check back in a year. Maybe a month.) But Peak Podcasting or not, the space will continue to get more and more packed, and that will yield its own noteworthy market effects. What will we see there? I think it’s just as likely that the more crowding that happens, the more granular reorganization we’ll see. Which is to say, we’ll start seeing real discernment and differences: less a conversation about “podcasts,” but conversations about “narrative podcasts” and “talk podcasts” and “dudes-around-mics-in-a-basement podcasts,” all of which contain their own individual concerns about maturing and saturating their respective audiences. The ongoing crowding will force changes in the usual way of doing things. The most prominent example would be in any reliances on Apple for marketing support. As the number of new podcasts continues to balloon, one imagines that particular channel will become even more difficult to explore. The minimum bar for quality and/or differentiation will continue to rise, which is probably good for audiences. Abundance generally makes it harder to stand out. A few things will likely fall from this: Branding become even more important, marketing costs will go up (therefore reducing the accessibility of the space to some extent), and established names will disproportionately benefit. We already see all of these dynamics, to some extent. Will people grow tired of podcasts? That’s a misleading question. Podcasts, like film and television and books, are merely vessels for stories: Should they grow tired, what’s actually driving the exhaustion would be a sameness in the kinds of stories being told, the types of people telling the stories, and the ways the stories and experiences are constructed. A reader writes in to ask: who’s producing the Walmart podcast? No idea, but it’s hosted on Megaphone. That should give you a clue. Nieman Lab had two other great podcast stories over the past week: one on Podchaser, an “IMDb for podcasts” that sounds a lot like Podsearch, and one on 36 Questions, the new joint from the Limetown guys. I wrote about 36Qs as well for Vulture. Plugging myself a little bit: I was on Recode Media and the Bumpers podcast, talking about the Apple in-episode analytics, and on the Third Coast Pocket Festival as part of a broader panel. Original photo of Nevado Ojos del Salado on the Argentina-Chile border by Mariano Mantel used under a Creative Commons license. POSTED July 11, 2017, 10:11 a.m.
Quah, Nicholas. "How will we know when we’ve hit Peak Podcast? And are we there yet?." Nieman Journalism Lab. Nieman Foundation for Journalism at Harvard, 11 Jul. 2017. Web. 22 Apr. 2019. Quah, Nicholas. "How will we know when we’ve hit Peak Podcast? And are we there yet?." Nieman Journalism Lab. Last modified July 11, 2017. Accessed April 22, 2019. https://www.niemanlab.org/2017/07/how-will-we-know-when-weve-hit-peak-podcast-and-are-we-there-yet/. | title = How will we know when we’ve hit Peak Podcast? And are we there yet?